Let’s be honest: The act of saving money is not a lot of fun. It’s certainly not as enjoyable as spending it on that new dress, or device, or whatever it is you like to splurge on. But like calcium and cardio, it’s a necessity if you want a healthy future. And there’s one surefire way to make it more fun than work: Watch the savings add up. If you can save $200 a month from the time you’re 25 until you retire at 65 — and you put it into an IRA or another retirement account where it grows at 7% — you’re looking at more than a half million. And if you can increase your contribution every time you get a raise and get matching dollars from your employer, then a million is easily in your sights. The good news is that there are plenty of strategies to help you save more, from the high-tech to the old-fashioned. Here are a few ways to super-charge your savings. Let’s say you head to Starbucks and buy a grande café latte that costs $3.65. What if you could, quickly and easily, save the other 35 cents? That doesn’t seem like much, but if that’s your daily order for a year, you’ll end up saving over $125, all thanks to your coffee habit. The app Acorns rounds up your expenditures based on your preferences and saves the remaining change. 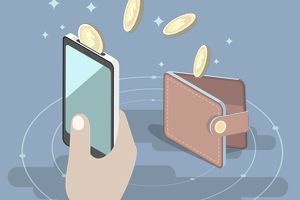 “The idea is to make it seamless [so] you don’t even realize that you’re saving when you’re spending,” says David Penn, research analyst at the Finovate Group. Coupling your positive experience — like a daily coffee ritual — with a long-term savings aspect could end up as a pleasant surprise whenever you look in your savings account. In keeping with the “save without knowing it” theme, Digit is an app that uses your spending habits to gauge the right amount to auto-save for you (somewhere between $5 and $50 every couple of days, which it transfers from your checking to a savings account). Again, its algorithm takes a peek at your personal spending habits to decide, meaning it’ll only transfer what you can afford — and there’s a no-overdraft guarantee. The app also offers unlimited transfers and no minimums or fees. Another perk? It updates you on your savings when you hit milestones ($50, $100) with fun texts and animated gifs. Qapital is an app that lets you save automatically for different goals you set by coming up with your own “rules” for what triggers a deposit. This could mean charging yourself for your guilty pleasures. (For example, you could create a rule that every time you order take-out, a set amount goes into your savings). And your savings goal can range from college to a Euro-trip to a new guitar. Plus, shared savings goals with friends or family make it a lot easier to actually make that girls’ cruise you and your friends are always talking about actually happen. Interest rates on savings accounts are pretty pitiful. But there is an alternative if you’re willing to do a little work: A high-interest rate checking account. Wait, checking? Yup. Such accounts typically have maximum deposit limits, not minimums (they’re typically only willing to pay the high interest on $5,000 to $20,000), and in order to qualify you have to use your debit card at least 10 times a month. But the payoff is significant: The average interest rate is 1.75% about 10 times that on a plain vanilla savings account, and some are double or triple that. Yes, envelope budgeting is old-school, but there’s a reason this savings method is still around: For a lot of people, it works. “My wife and I still use envelopes,” says Finovate’s Penn. “We’ve done it ever since we got married.” Penn and his wife have seven envelopes total, for things like entertainment, groceries and miscellaneous spending. If you take money straight from your paycheck and close it up in a “savings” envelope, you’re less likely to be tempted later on. Swiping a credit card can be like ripping off a Band-Aid — it hurts for a second, but you quickly forget about it. If you consider yourself swipe-happy, try switching to a cash system — watching yourself give away actual bills is more painful than imaginary ones. Another perk? Since over-spending means a trip to the bank or ATM, “this provides time to reconsider the purchase and whether their budgets can handle any extra strain,” says consumer finance expert Andrea Woroch. Remember that carrying big bills (like $50s and $100s) could make you less likely to impulse buy at that bodega down the street. And if you want to amp up your savings even more? Make a deal with yourself that you’ll save every $5 bill that comes your way, no exceptions. It’ll add up. How many times have you impulsively decided to order food or clothes from one of your favorite websites or phone apps? If your payment information wasn’t stored, the idea of getting up, walking across the room and hunting for your credit card might have dissuaded you. Deleting that information won’t only save you cash — it could also make you feel more financially secure. “The time it takes you to re-enter your billing information or look for your credit card will often be enough to make you realize it’s not something you really need or have the money for,” says Woroch. Every one of your hard-earned dollars has a job to do, and one surefire way to boost savings is to pre-commit new income to savings. If you’re finally finished paying off your car, consider redirecting those dollars, or if you’re about to get a raise, talk to your company’s payroll department about re-allocating the extra cash towards your retirement plan or savings account. “You won’t miss what you never really saw in their check,” says Aron Szapiro, director of policy research at Morningstar, Inc.